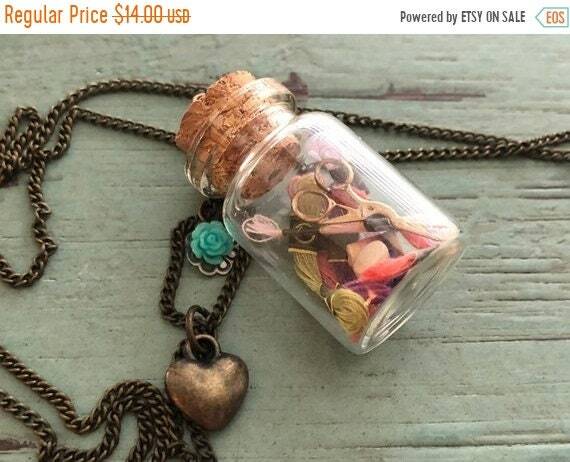 Glass jar with cork top necklace. 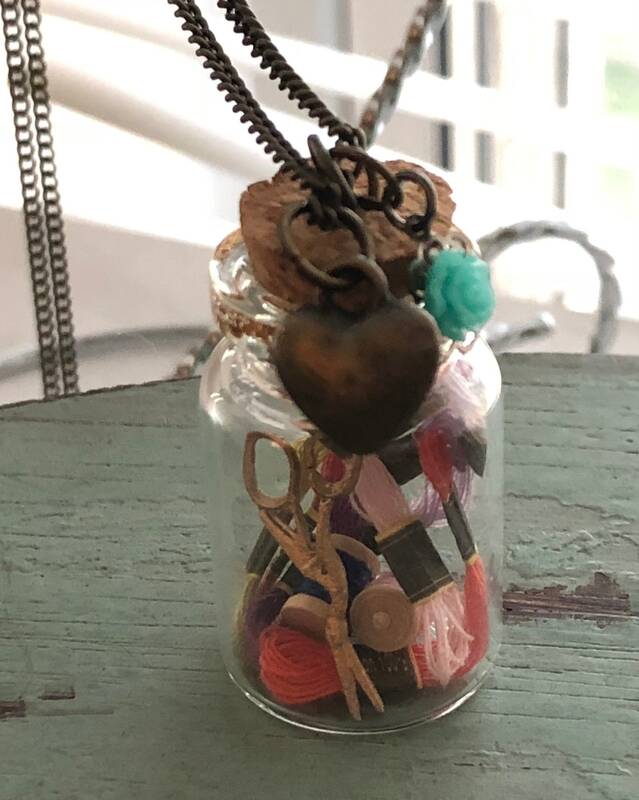 Jar filled with miniature floss, sewing spools and stork scissors. 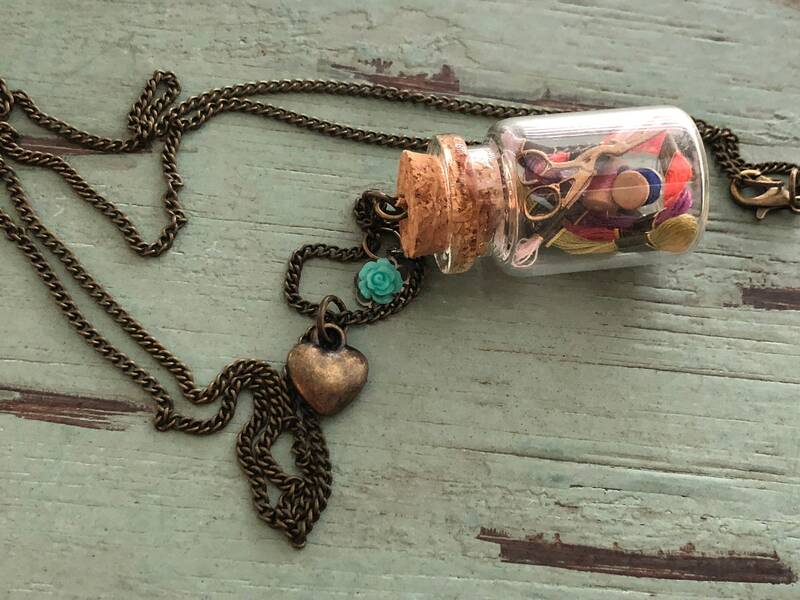 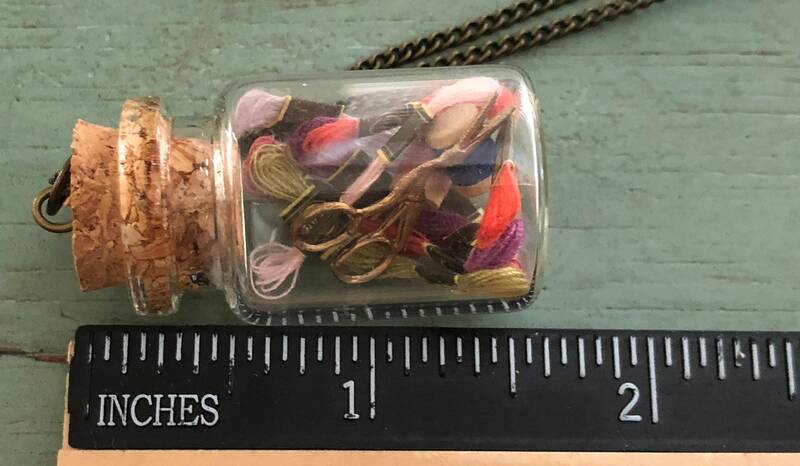 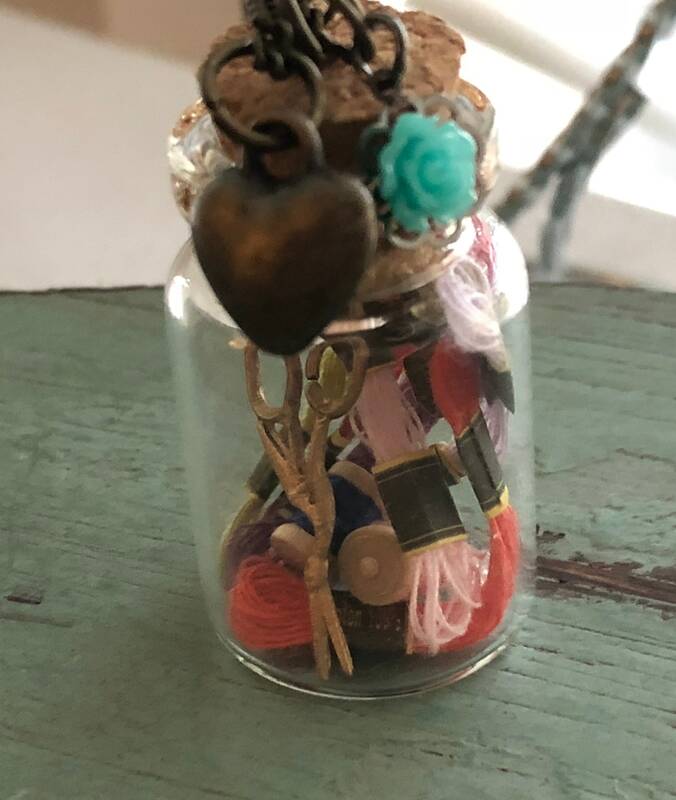 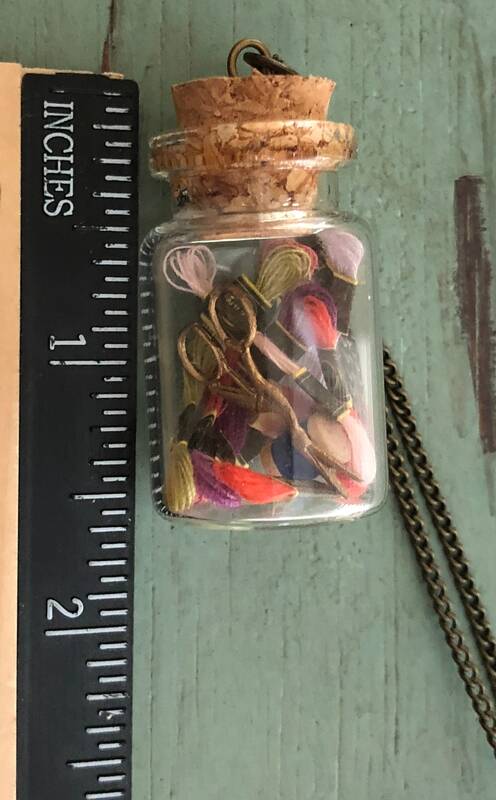 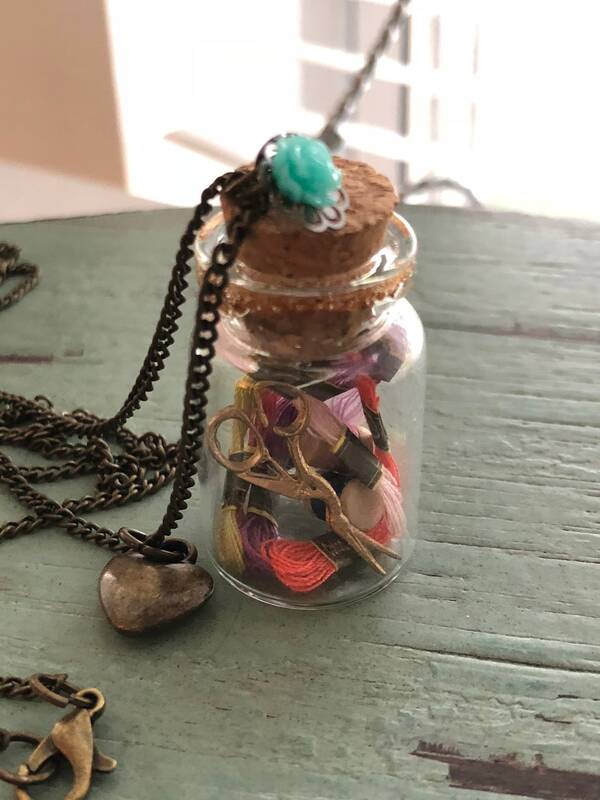 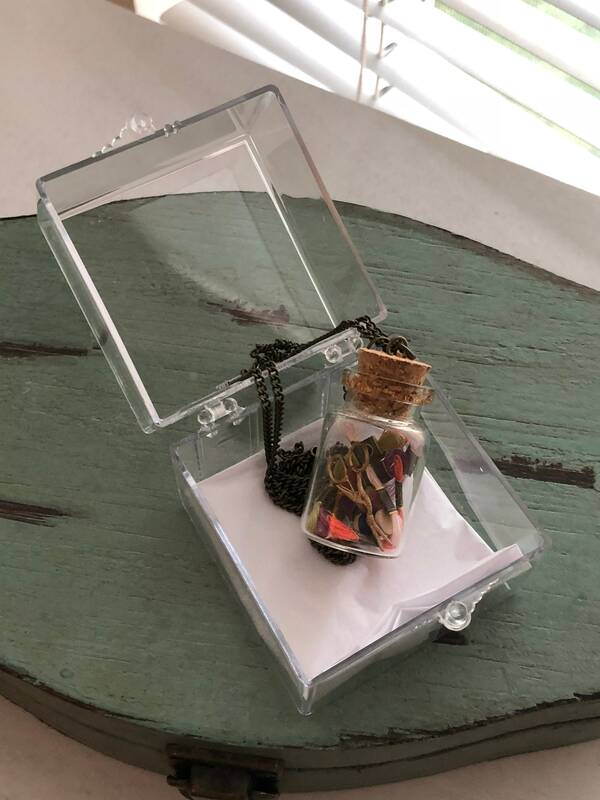 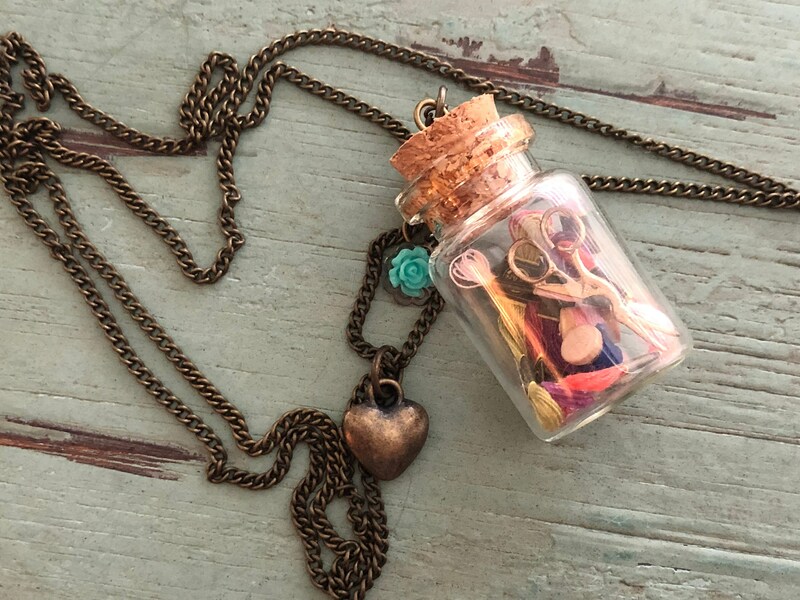 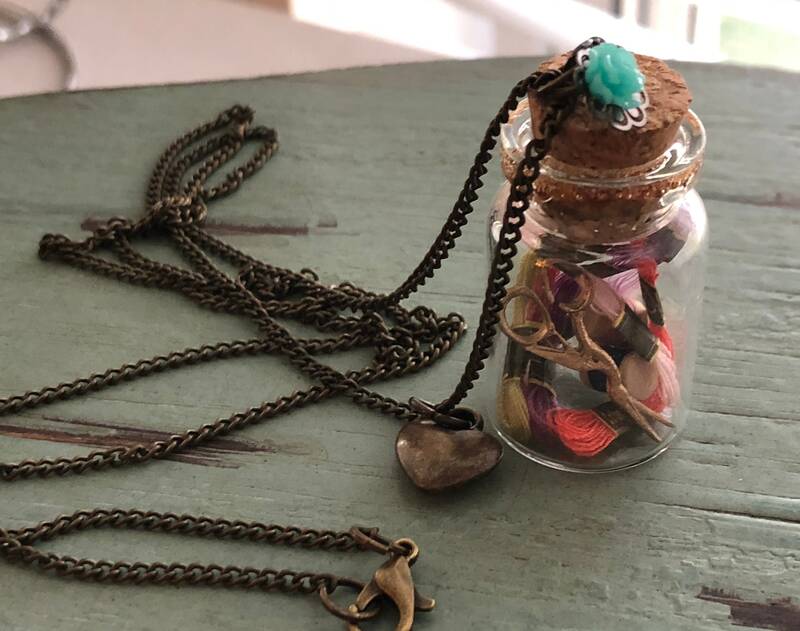 Listing includes: 1 filled jar with 2 charms and 30" chain as shown (not intended to be opened, non-working scissors, note, miniature parts and glass, not intended for small children).